Ever since I received my Hairagomi in the mail, I haven't been able to stop playing with it! The product comes with a instruction guide with 6 different buns you can work the clip into which makes it even more irresistible to use. 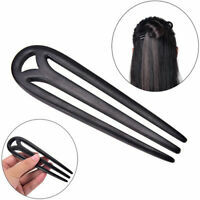 The clip itself is also very sturdy so practicing with it won't make it fall apart in your hands. 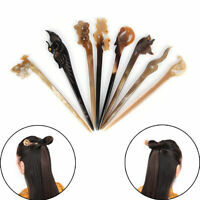 I would definitely recommend this product to anyone wants a simple and easy bun! 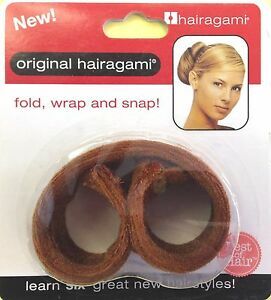 Tip: Since my hair is very long and thick I have a harder time rolling all of my hair into the clip, plus the weight of the bun sags so I use bobby pins in order to secure it to my head!